It is with tear drops and sadness that today I am saying goodbye to my dear friends the Maasai. Over the past two months, they given me their trust and love and allowed my lens to take an intimate journey into their lifestyle, challenges, passions and sadnesses. My journey through our rich world must continue. I sincerely hope that you have enjoyed our jaunt into the up close and personal life of this very special African culture. In January, we embark again. The small innocent children of the Maasai villages out on the vast Serengeti send their love, happiness and smiling joy to all of you. As I reflect on my Maasai series of images on Through Harold’s Lens over the past few of months, I realize how happy a child can be in with only love and care from family and just a few simple items of life. Being responsible for taking care of a newborn baby lamb. Drawing with a crayon. Playing Tic, Tac Toe in the dirt. Tickling each other with feathers. Creating music with the small harmonica I gave them. The Maasai lead a semi-nomadic life out on the Serengeti. Their homes are loosely constructed and semi-permanent. They are usually small, circular houses built by the women using what the Serengeti provides for them, mud, grass, wood and cow-dung. 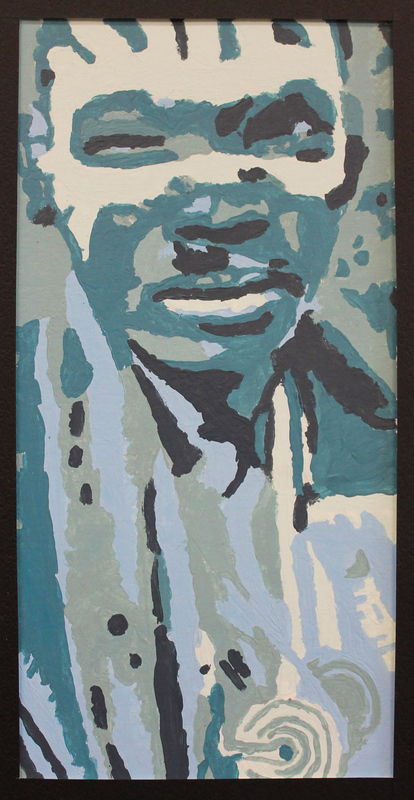 Another Maasai 15-year old I found spending his six months alone out on the Serengeti. Through rituals and ceremonies, including circumcision, these Maasai boys are guided and mentored by their fathers and other elders on how to become a warrior. Although they still live their carefree lives as boys – raiding cattle, chasing young girls, and game hunting – a Maasai boy must also learn all of the cultural practices, customary laws and responsibilities he’ll require as an elder. 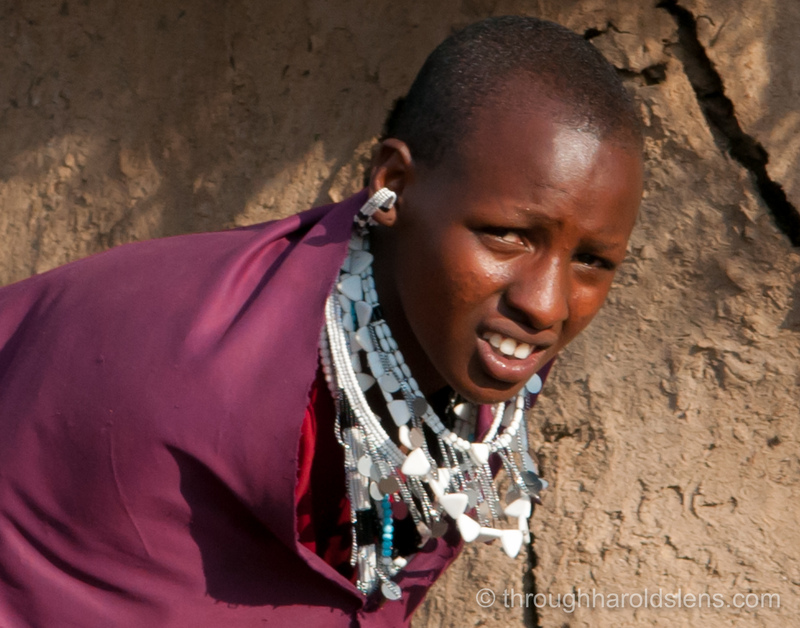 Out on the Serengeti, I found the draping of the Maasai beaded jewelry to be works of art. Dressed in red sheets, (shuka), wrapped around their bodies with loads of beaded jewelry placed around their necks and arms, their appearance was one of regality. 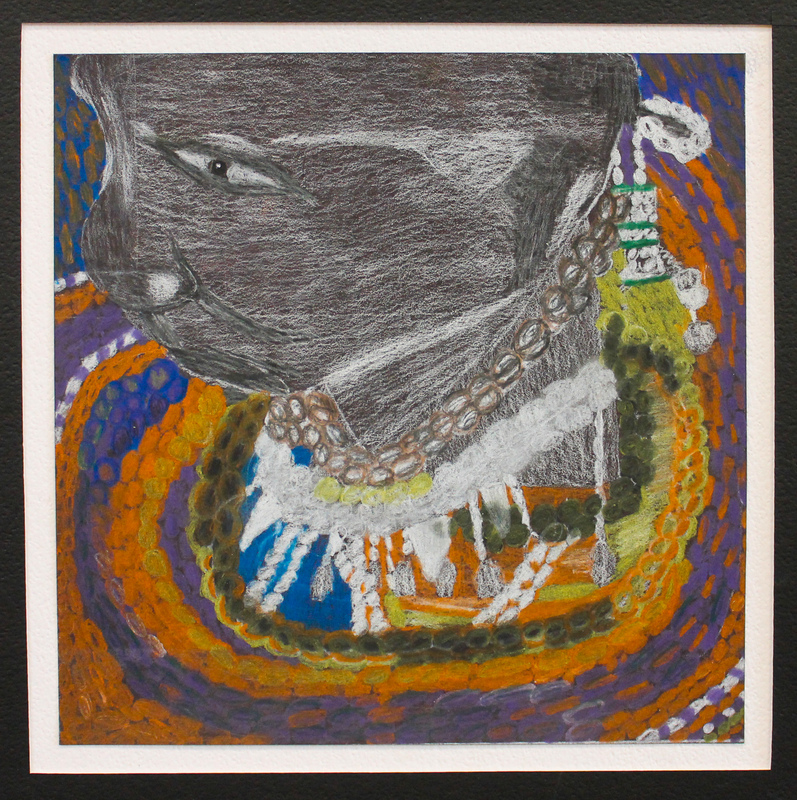 The beaded jewelry is worn by both men and women and may vary in color depending on the occasion. This little Maasai is a cute story. After I took this photo, he followed me everywhere in the Maasai village out on the Serengeti. 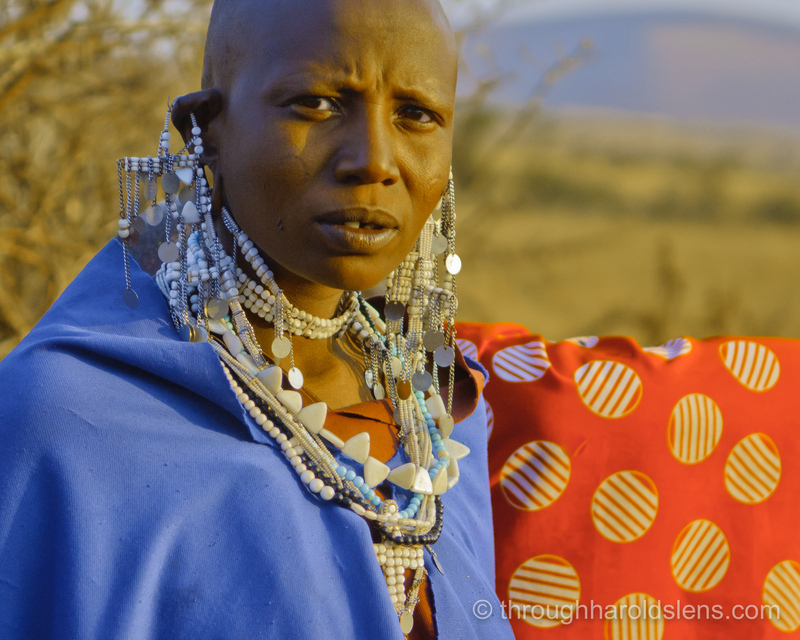 I asked my Maasai guide about him. He said he loved my camera. The Maasai see mostly small point & shoot cameras. Mine is an SLR with a large lens. I shot a few more images of him. Then hung the camera strap over his neck and showed him how to click the shutter and shoot. Wow! All his buddies came over and he photographed all of them. Fun for him! Fun for me! Great memories for both! The Serengeti’s late afternoon sun cast long black shadows through the sharp thorn fence surrounding her village. Menacing black spikes grew in front of her on the vast bare earth. The Maasai woman stood absolutely iron statue still for hours outside the front door of her one room circular home built with mud, grass, wood and cow dung. Her eyes were focused to the East. She was waiting for her warrior husband to return from the veld.